Remember Pimp My Ride, a crazy TV show where people had their cars tuned in the most bizarre ways imaginable? What we have here today is a 2007 Chevrolet suburban pickup truck that wouldn’t look out of place in that show if it had still been airing. The custom job was supervised by TJ Dickinson (Florida, USA). He kicked things off by painting the entire vehicle a lively green shade, something that reportedly took him six months to perfect. 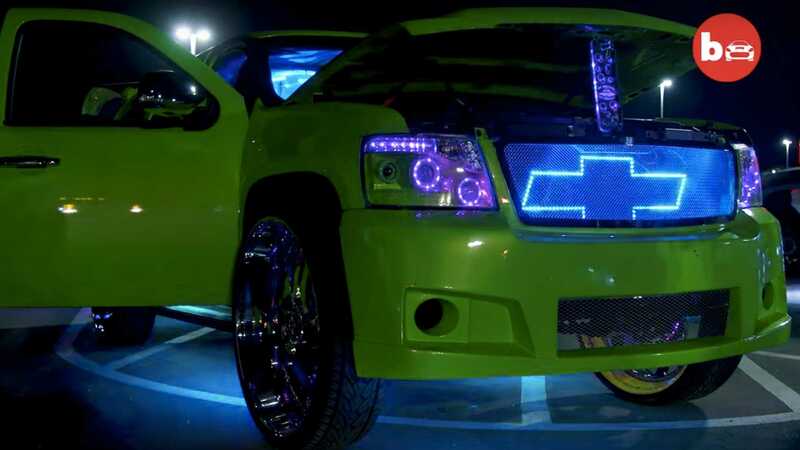 He then ditched the factory wheels for a set of humongous 32” Forgiato rollers, slammed the suspension all the way down, and installed around 2,000 LEDs both inside and outside the car. According to Dickinson, someone has already tried buying his ride for U.S. $70,000, but he wouldn’t part with it even for $100,000.